Chasing Chaos by Katie Rose Guest Pryal is Now Available for Pre-order! Love, friendship and betrayal in glamorous, yet often vicious, Hollywood. Daphne Saito, a beautiful and talented Hollywood screenwriter, might look like she has the perfect life, but on the inside she's lost. She's wandered from one meaningless relationship to the next, and now—just as she breaks up with her longtime boyfriend Dan—she meets someone new, someone she could fall in love with. But Daphne, still traumatized by an accident involving her best friend, Greta, five years earlier, is afraid to love. Harm has always come to those close to her. Over five life-changing days, Daphne lets her guard down and steps toward this new love. But trouble is never far behind. Dan, angry at Daphne's departure, has targeted an innocent young woman, someone close to Daphne's new love, as part of a plan for revenge. And an enigmatic woman from Daphne's past returns with a vendetta of her own. Danger is on the horizon for all of Daphne's friends—and for her. Tana French meets Donna Tartt in this tense, evocative love story. And fans of Lisa Scottoline's Betrayed will enjoy the strong female protagonists found in Pryal's novel. 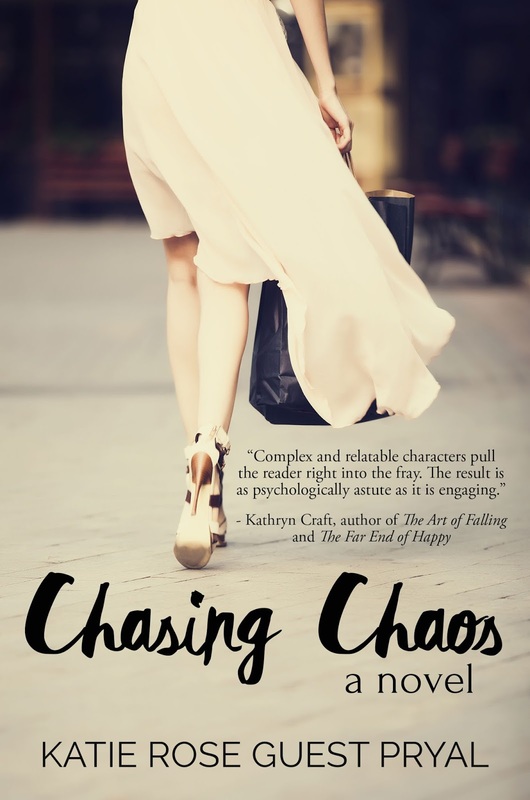 Find Chasing Chaos on Amazon! THAT'S PARIS, on sale for $0.99!